Esther Elizabeth Kubishta was born on March 28, 1937 in Dickinson, ND to parents Joseph and Elizabeth (Dassinger). She was one of five children including Alfred; Rose (Raab); Helen (Meduna); and youngest brother Ed. While much time was devoted to farm chores and schoolwork, activities also included ice skating on the river, riding horseback, skiing behind the horse, and neighborhood get-togethers butchering meat for the following winter. Esther and her siblings played tag, hide & seek, and kick-the-can. "Family time" was spent playing cards and Chinese checkers. They had the first TV in the area, so neighbors came over to watch Friday night wrestling then play cards. Sundays were for church and getting together for big noon-time dinner with relatives. Occasionally they would stay "in town" after church and see a movie or go to a visiting carnival. Her father played cards with the men and her mother joined the the women to socialize at the German-Hungarian Hall. While Esther graduated from Dickinson Central High School in 1955, she spent the last 3 months at North Dakota's tuberculosis sanitarium at San Haven. She had tested positive for tuberculosis (TB) in her senior year. Fortunately, she was retested shortly after her arrival and conculded she did not have the disease. Infected patients were commonly isolated from the rest of the population; expected to live out their lives in sanitariums until new drugs provided new treatment options. Esther credits this experience encouraging her to "grab life by the horns and go for everything life had to offer!" Now free, she attended <?xml:namespace prefix = st1 ns = "urn:schemas-microsoft-com:office:smarttags" />Dickinson Teachers College (now Dickinson State University) on a "rural scholarship" which provided $300 per students to attend classes one year but commit to teach rural school for at least one year. She taught for 2 years at the rural school she attended as a child. Upon saving enough money to return to Dickinson State for another year, she graduated in 1958 with an associate degree. She was the local TV personality hosting nationally syndicated children�s TV show "Romper Room" and worked at the "Vanity Shop" clothing store. Esther married Barry Davis in 1960. Barry was from Toronto, Canada and came to Dickinson with a trio who played at the Esquire Club. When his fellow band members moved on, he stayed in Dickinson. Leo Guon of Mandan's Havana Club convinced Barry to move the family to Mandan in 1962, playing as part of a musical trio at Jerry's Supper Club. Esther supplemented the family's income by selling Avon products door-to-door. They bought their first home in 1963 on Third Avenue. Esther and Barry had three children; daughter Nancy Elizabeth (Langford) and sons Bob and Doug Davis. Havana Club, a basement nightclub for years, staged the location to close many political, business (legal and maybe otherwise) deals. After the Havana Club closed in the summer of 1964 due to financial problems, the Davises bought it, remodeled it, developed a new theme and renamed it "The Seven Seas." 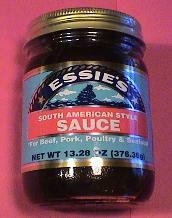 Essie's South American Sauce, described as part barbecue, part teriyaki, and part Cajun, followed <?xml:namespace prefix = st1 ns = "urn:schemas-microsoft-com:office:smarttags" />Davis after the Havana Club was destroyed by fire in 1970. 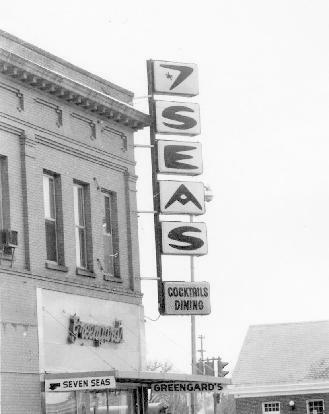 The couple opened the Seven Seas Motor Inn, Restaurant and Lounge in north Mandan. Customers, hooked on the flavor of the sauce, followed. Some patrons even brought their own jars to pack for home samples of the sauce. Persuaded by the practice, Davis introduced the product commercially. It was described in a January 1988 Field and Stream Magazine article as �the best prepared sauce [the author] had ever tasted.� Today the sauce is distributed regionally and available nationwide by mail order. Esther was named Outstanding Small Business Owner by the GNDA in the early 1980s and later served on its executive committee. She also served on the Mandan Zoning and Planning Commission and worked for the ND Legislature. 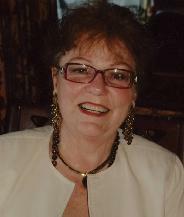 Esther retired from her job in 2005 as a sales manager for Best Western International, Inc. � a position she held for 17 years. She maintains a large yard and garden focusing on raising roses and various perennials. She travels world-wide, including destinations in all 50 states, Canada, Europe, South America, Central America, Southeast Asia and Africa. She is a member of both a book club and a walking club. From her current residence in Seattle, WA, she also assists with the AARP Fraud Prevention Program to help seniors avoid scam investments.